A pair of Canadian scientists may be running out of options to save their laboratories, which have been permanently closed based on findings of research misconduct. 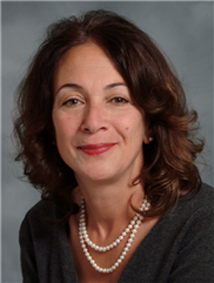 Sylvia Asa, once the head of the largest hospital diagnostic laboratory in Canada, and her husband and collaborator Shereen Ezzat, have spent almost five years fighting allegations of research misconduct involving data falsification and fabrication in more than a dozen published papers. The couple’s work has been scrutinized by their employer, University Health Network (UHN), a healthcare system affiliated with the University of Toronto, in two investigations. The investigations did not find evidence that Asa or Ezzat were directly involved in image falsification or fabrication; however, they concluded that, as supervisors, they failed to conform to accepted standards and practices as they related to scientific rigor and accountability. After the first investigation, UHN decided to temporarily close both Asa and Ezzat’s labs. After the second, the UHN decided to make that closure permanent. The couple have had three papers retracted and at least one correction. The applicants have failed to identify any failings in either of the appeal decisions that would render them unreasonable. The first UHN investigation lasted from 2012 to 2014; the second, from 2015 to 2016. UHN executives temporarily suspended their research activities and closed their labs in 2014 as a result of the first investigation. Issue number one in the recent court action stemmed from this temporary closure. Last year, after Asa and Ezzat challenged the first investigation’s finding of research misconduct, a court instructed UHN to revisit the sanctions against the couple, namely the decision to temporarily close their labs and suspend their research. Given that Asa and Ezzat had been found guilty of “material non-compliance” with accepted standards and not falsification, the court thought UHN should at least reconsider the sanction. But sometime in late January or early February 2016, UHN decided that the penalty would remain the same. Asa and Ezzat appealed that decision internally, but their appeal was dismissed. So, as the couple did with the first finding of misconduct, earlier this year they asked the Divisional Court of the Ontario Superior Court of Justice for “judicial review” of the so-called “reconsidered sanction.” The Divisional Court is a venue that has the power to weigh in on the legality of administrative decisions made by governmental or quasi-governmental bodies. Similarly, Asa and Ezzat challenged the finding of misconduct in the second investigation, which was also appealed to UHN and dismissed. But the court has found no fault with UHN’s decisions to keep the punishment the same and to find Asa and Ezzat guilty of misconduct, due to material non-compliance. Indeed, Asa told us that she and Ezzat are planning to file an appeal soon. The integrity and validity of our research is not in question. The essence of the challenge to our standing as serious researchers is about the digitization of the images used in the journal articles supporting our published research. The entire issue of digitization is at the heart of our situation and may be at the core of many retractions of research papers. Scanning of research lab gels is the “elephant in the room” …. -We were faulted for not retaining some of the primary data for four of the five papers under investigation. These papers were written by two individuals in our lab. UHN specifically directed us to give them all the primary data that would be collected by the Research Integrity team. We complied with these directions. They then fired the two individuals in our absence and without telling us, and the hospital individual who fired them did not collect the data. -The Committee identified “falsification” and “fabrication” in images that had no detectable changes and completely reproduced the original data. The UHN identified “boxes around bands” that were, in the opinion of an IT expert, consistent with compression artefact. The UHN identified “boxes covering faint bands”; independent scientific experts indicated that the faint bands were indeed still visible in the published images. Asa and Ezzat retained the image processing and scientific experts to contribute to the couple’s response to the second investigation committee’s draft report. The couple’s lawyer, Michael Fraleigh, of Toronto firm Fogler, Rubinoff, told us that the experts are: Philippe Poussier, a physician and researcher affiliated with the University of Toronto; Anthony Ho, of the University of Alberta; and Kevin Lo, managing director of Froese Forensic Partners, an expert on digital image files. Justice Nordheimer noted that Asa and Ezzat’s “main complaint” related to the second misconduct investigation was that the committee “dismissed or failed to consider” the reviews supplied by these hired experts. According to the timeline laid out in Justice Nordheimer’s decision, the second investigation began in May 2015. In addition to allegations of image irregularities in 17 publications, the second investigation considered image issues in additional publications, as well as one allegation of statistical irregularities in a paper published in Molecular Endocrinology. (iii) failed to acknowledge and adequately address concerns raised regarding published material identified by the Committee to contain improperly manipulated figures. I suspect this would never happen in the US, where the usual punishment for comparable culpable activities comes in the form of a US Justice Department settlement in which the perps pay a fine without admitting wrong-doing. The US is the land of the wink and a nod when it comes to holding corporate enterprise responsible for wrong-doing. J Immunol. 2005 Apr 1;174(7):4081-9. Impaired post-thymic development of regulatory CD4+25+ T cells contributes to diabetes pathogenesis in BB rats. Poussier P1, Ning T, Murphy T, Dabrowski D, Ramanathan S.
Sunnybrook and Women’s College Health Sciences Centre, Department of Immunology, University of Toronto, Toronto, Ontario, Canada. False colouring shows even more detail – that Figure 5 certainly appears to be a collage of five blobs, judging from the extreme similarities exhibited. The five thick colour coded arrow styles show the 5 blob types. The thinner black arrows show sharp edges, which should be compared against the original gels. The Thymocytes BB Foxp3 ‘band’ shows an obvious discontinuity on the right edge. 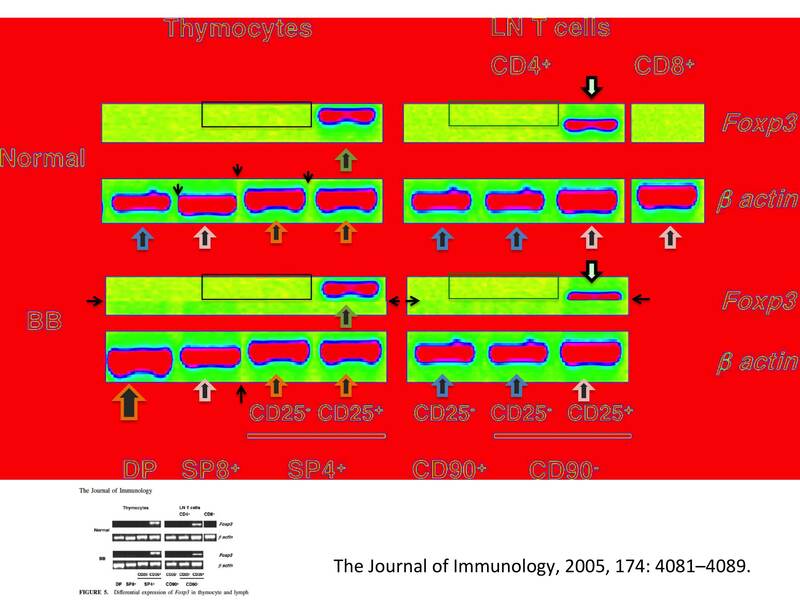 Even the background of the Thymocytes Normal Foxp3 and the Thymocytes BB Foxp3 ‘bands’ show similar speckling (inside black boxes), similarly for the LN T cells Normal and BB Foxp3 ‘bands’ (inside green boxes). The LN T cells BB Foxp3 blob appears extremely similar to the top half of the LN T cells Normal Foxp3 blob. Every appeal results in more facts coming out in court documents of findings and reasonings. Looking forward to more facts from the upcoming appeal, and expert testimony by Phillipe Poussier. Shared data between Endocrinology. 2007 Feb;148(2):743-51. and Endocrinology. 2005 Nov;146(11):4795-803. Endocrinology. 2005 Nov;146(11):4795-803. Epub 2005 Aug 11. Proteasomal proteolysis in the adrenergic induction of arylalkylamine-N-acetyltransferase in rat pinealocytes. Terriff DL1, Chik CL, Price DM, Ho AK. Department of Physiology, University of Alberta, 7-33 Medical Sciences Building, Edmonton, Alberta, Canada T6G 2H7. Endocrinology. 2007 Feb;148(2):743-51. Epub 2006 Nov 2. The role of inducible repressor proteins in the adrenergic induction of arylalkylamine-N-acetyltransferase and mitogen-activated protein kinase phosphatase-1 in rat pinealocytes. Ho AK1, Terriff DL, Price DM, Wloka MT, Chik CL. Department of Medicine, 7-26 Medical Sciences Building, Edmonton, Alberta, Canada. Endocrinology. 2007 Apr;148(4):1465-72. Epub 2006 Dec 21. Histone H3 phosphorylation in the rat pineal gland: adrenergic regulation and diurnal variation. Chik CL1, Arnason TG, Dukewich WG, Price DM, Ranger A, Ho AK. Department of Physiology, 7-26 Medical Sciences Building, Edmonton, Alberta, Canada T6G 2H7. J Neurochem. 2007 Jun;101(6):1685-93. Epub 2007 Apr 16. Mitogen-activated protein kinase phosphatase-1 (MKP-1) preferentially dephosphorylates p42/44MAPK but not p38MAPK in rat pinealocytes. Price DM1, Wloka MT, Chik CL, Ho AK. Department of Physiology, Faculty of Medicine & Dentistry, University of Alberta, Edmonton, Alberta, Canada. The integrity and validity of our research is not in question. True. It is only claimed that the evidence presented in publications of that research was made up. Endocrinology. 2013 Sep;154(9):3240-50. doi: 10.1210/en.2013-1293. Epub 2013 Jun 10. Sustained adrenergic stimulation is required for the nuclear retention of TORC1 in male rat pinealocytes. McTague J1, Ferguson M, Chik CL, Ho AK. Department of Physiology, 7-26 Medical Sciences Building, University of Alberta, Edmonton, Alberta, Canada T6G 2H7. Regulation of 90-kilodalton ribosomal S6 kinase phosphorylation in the rat pineal gland. Ho AK1, Mackova M, Cho C, Chik CL. Departments of Physiology and Medicine, Faculty of Medicine, University of Alberta, Edmonton, Alberta, Canada T6G 2H7. Osteopontin (OPN) expression in thyroid carcinoma. Briese J1, Cheng S, Ezzat S, Liu W, Winer D, Wagener C, Bamberger AM, Asa SL. Department of Laboratory Medicine and Pathobiology, University of Toronto, Department of Pathology, University Health Network, and Ontario Cancer Institute, Toronto, Ontario, Canada. Update figure 4 Anticancer Res. 2010 May;30(5):1681-8. Cancer Res. 2008 May 15;68(10):3715-23. doi: 10.1158/0008-5472.CAN-08-0103. Ikaros modulates cholesterol uptake: a link between tumor suppression and differentiation. 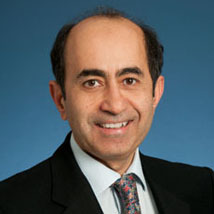 Loeper S1, Asa SL, Ezzat S.
Departments of Medicine and Pathology, University Health Network, Ontario Cancer Institute, Toronto, Ontario, Canada. Figure 4 Cancer Res. 2008 May 15;68(10):3715-23. Ezzat’s efforts were reported online in 2012 by me, and multiple attempts to communicate with UHN and officials therein were ignored at the time. It’s good to finally see some action in this case, but it has to be considered that UHN dragging their feet is at least partly to blame for the legal morasse this seems to have devolved into. The lack of a Canadian equivalent to HHS ORI is probably also a contributing factor to the extended timeline. As a new reader to this site I am very impressed by the calibre of commentary on what are very important issues. It appears that there are many instances of these occurrences and it is important that the well being of patients is always the first priority. I am beginning to wonder….is there anyone who is publishing without misconduct? The vast majority of scientists are publishing without misconduct. Their work is not the focus of Retraction Watch, though the Retraction Watch crew occasionally report on comparative figures, showing the millions of published articles versus the thousands of problematic articles. That said, there are many papers with other issues beyond misconduct. Cherry picking of results to show, publishers’ reluctance to publish negative findings, which unfortunately yield a biased view of scientific findings, and do require redress. Those are not instances of misconduct, but rather the unfortunate results of systems we have built over time to grant funding to scientists and get their findings into circulation via business-oriented journals. I go get what you are saying Steven. There is the BUSINESS of Medicine and it is real and exists. Money does make the word go around. It is interesting that you segway to this. I would like to hear your comments on the selling of human tissue by UHN (Paige/Wouters) from the report documents from the initial case against ASA/EZZAT. 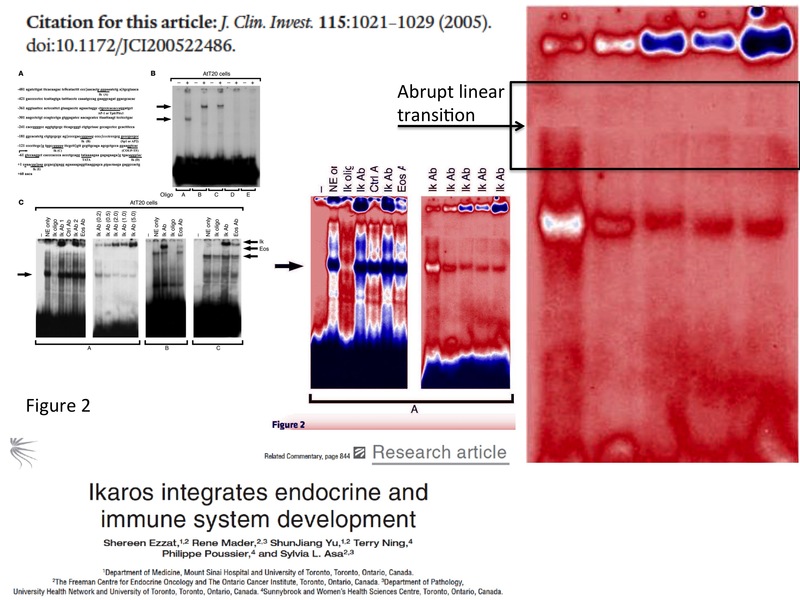 Update: Figure 7 Endocrinology. 2003 Aug;144(8):3344-50. Another image that should be reviewed, in a paper by Asa and Ezzat co-authored with their chosen expert Philippe Poussier. 1 Department of Medicine, Mount Sinai Hospital and University of Toronto, Toronto, Ontario, Canada. 2 The Freeman Centre for Endocrine Oncology and The Ontario Cancer Institute, Toronto, Ontario, Canada. 3 Department of Pathology, University Health Network and University of Toronto, Toronto, Ontario, Canada. 4 Sunnybrook and Women’s Health Sciences Centre, Toronto, Ontario, Canada. Curiously the “Contact” page shows a pin at Toronto City Hall for the location of their “lab”. Unclear at this point if this means they are striking out to set up their own laboratory/business since they claim in the above appeal to be losing hospital and research privileges elsewhere. Previous Previous post: Journal retracts paper it says authors published twice. Authors disagree.